Where can you go to sleep in a renovated grain silo (a place called Quaker Square), visit one of the finest examples of Tudor Revival architecture in America, and explore an interactive science museum of invention? Akron, Ohio, of course. The City of Invention. A three-time All-America City that was given first place in the City Livability Award competition by the United States Conference of Mayors in 1999. Akron is the home of the National Inventor's Hall of Fame and Inventure Place – an interactive museum of invention, the All-American Soap Box Derby, Alcoholics Anonymous, oatmeal, artificial fishing bait, the World Championship - Bridgestone Invitational golf tournament, and Stan Hywet Hall - one of the finest examples of Tudor Revival architecture in America. Akron was founded by Simon Perkins in 1825 and developed into a canal town on the Ohio & Erie Canalway. As railroads replaced the canal system, the rubber industry grew under the entrepreneurship of Dr. Benjamin Franklin Goodrich, F.A. Seiberling and Harvey Firestone. The presence of B.F. Goodrich Tire, The Goodyear Tire & Rubber Company, Firestone Tire and General Tire led Akron to become the Rubber Capital of the World. Great cereal mills, such as the Quaker Oats Company, were also located in Akron. Now, Akron is a world-renowned center of polymer research and development. The Polymer Science Institute of the University of Akron has made us an international leader in education in the polymer field. More than 35,000 people in the Akron area are employed in approximately 400 polymer-related companies. Akron is also home to many small manufacturing firms and has a large variety of retail establishments and shopping complexes. Fifty percent of America's population lives within a 500-mile radius of Akron, and within a 150-mile radius there are approximately 10 million people. Akron has easy access to a network of superhighways and is a major trucking hub. A market potential of 111 million people live within a day's drive of Akron. High-quality, affordable housing makes Akron an attractive place to live. The availability of green space provided by 6,600 acres of Metropolitan Parks, just moments from residential areas, makes Akron a pleasing combination of urban convenience and pastoral beauty. The park system includes a 25-mile bike and hike trail. 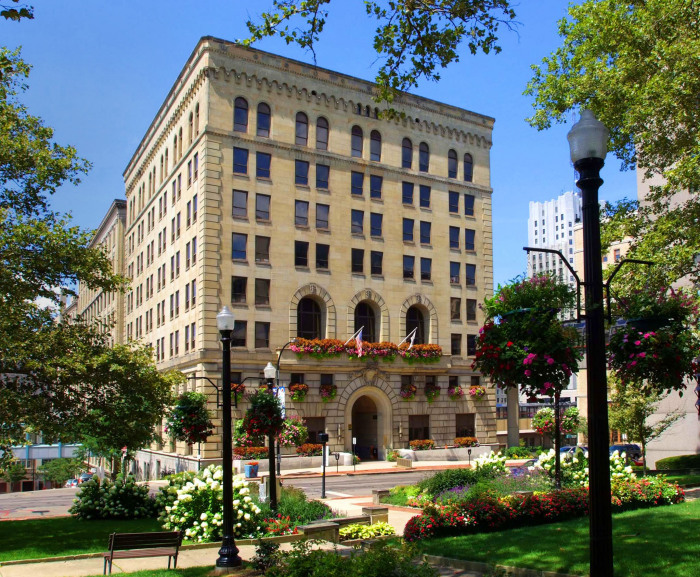 Akron is also home to the Ohio Ballet, The Akron Symphony Orchestra, and E.J. Thomas Performing Arts Hall, which brings Broadway plays and many world-famous entertainers to the city. We are also home to the Akron Aeros, the Cleveland Indians AA baseball team. Canal Park is the new state-of-the-art baseball stadium on Main Street in downtown Akron. The historic Ohio & Erie Canalway runs just beyond center field. It has been developed to provide a scenic area that includes a bike and hike trail and picnic area for the enjoyment of residents and visitors.